There were no permanent Indian settlements in the Inner Bluegrass. Eskippakithiki was a Shawnee farm village on the border between the Outer Bluegrass and the Knobs. Eskippakithiki was located in what is now called the Indian Old Fields, a remarkably level area of about 3500 acres along several creeks and near the Kentucky River. It was abandoned by 1754. 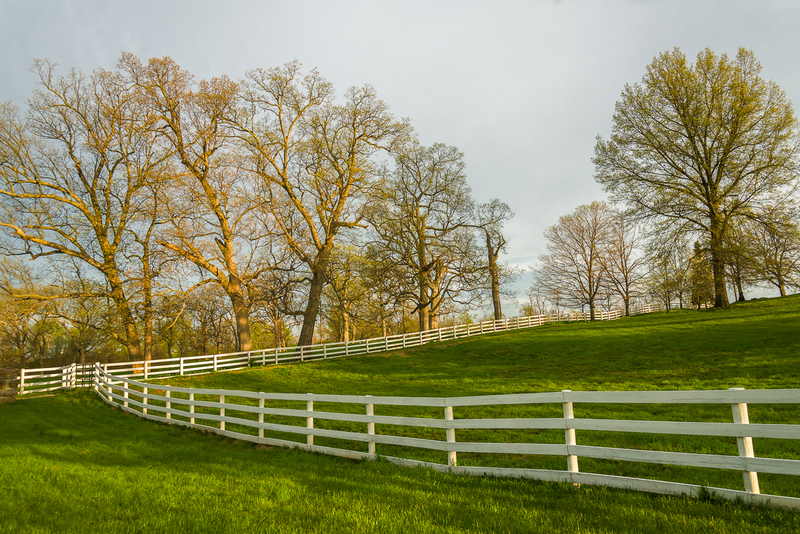 When farmers began moving in to the Bluegrass, the woodland pastures provided instant grazing land for livestock. Cattle and sheep came first, and the horse industry began to develop in the early 1800s. The farmers had no need to clear the land because it was already open enough for grazing, and the shade provided by the huge trees benefited the livestock. The thoroughbred horse industry grew in these woodland pastures, which provided shade for prized horses as well as instant landscaping for mansions. Today, these woodland pastures remain throughout much of the Inner Bluegrass, some of them extending over thousands of acres and multiple farms. In much of the Outer Bluegrass and Nashville Basin, the woodland pastures are largely gone but individual trees or small groves remain of the original habitat. 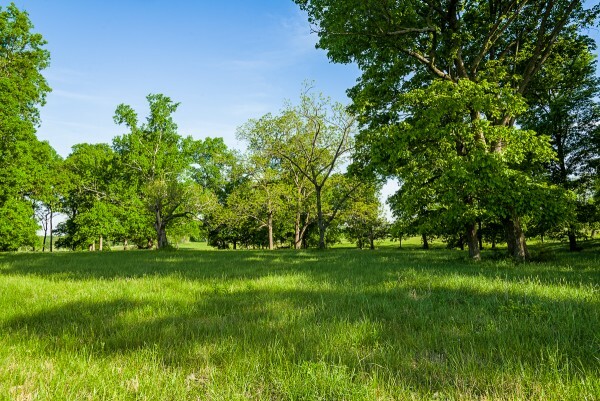 Although the Nashville Basin has a similar origin and land use history, intensification of farming after the Civil War and the more extensive urbanization of the region means that woodland pastures are less abundant in the Nashville Basin than in the Bluegrass. The same, or very similar habitat does exist elsewhere, in the wood pastures of Northern England, Scotland, Wales, Romania and South Africa. Considerable research on these habitats in Europe suggests that they were naturally formed by grazing animals and subsequently maintained by farmers, just as in the Bluegrass. Note: The term used in Europe is 'wood pasture", but that term is unfamiliar to American farmers, who prefer the term "woodland pasture." They describe the same habitat. 1 The genetics of cattle, including bison, are not entirely settled, and some authors refer to the species as Bison bison. The most recent review of cattle genetics assigns all bison species to Bos, the cattle genus. Garrick, Dorian, and Anatoly Ruvinsky. 2014. The Genetics of Cattle, 2nd Edition. CABI. 2 Braun, E. Lucy. 1955. “The Phytogeography of Unglaciated Eastern United States and Its Interpretation.” The Botanical Review 21 (6): 297–375. doi:10.1007/BF02872433. ———. 2001. Deciduous Forests of Eastern North America. Blackburn Press.